Mass immigration and multiculturalism in Canada have impacted just about every facet of society, but few are aware of the impact it has had on our education, and we don't mean only the complete control cultural Marxists have over our educational institutions, but the outright spread of Chinese funded programs and institutes across Canadian educational institutions. The most notorious example is the China-funded Confucius Institute, which now has a presence across Canada. You don't believe us? Check this out: Saint Mary's University, in Edmonton's public schools, in Saint John high schools, in Dawson College, in University of Regina, in University of Waterloo, in Seneca College, in Carleton University, in Brock University, and more places. The primary mission of these Confucian institutes, all in all, is to "promote understanding and appreciation of Chinese language and culture" by promoting educational, economic, and cultural exchanges between Canada and China, by encouraging Canadian cities to celebrate Chinese holidays and festivals, providing cross-cultural seminars and workshops for business, government and local community groups, by encouraging Canadian students to study in China and assimilate Chinese culture, and by teaching and promoting the Chinese language as the second language in Canada, by teaching the history and values of Chinese civilization in Canada's entire educational system, including having Chinese movie nights! there is publicly available information stating clearly that Western counter-intelligence agencies have identified Confucius Institutes as forms of spy agencies used by the [Chinese] government and employed by the [Chinese] government. A common strategy used by the Confucius Institute in many countries over the years was manipulating political views and comments by means of political infiltration. 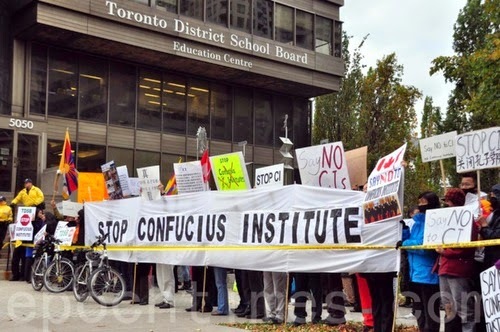 Tao Thomas Qu was one who spoke in favour of the Toronto School Board retaining its agreement with the Confucius Institute. "Do not make it a political issue. It is about culture and language." 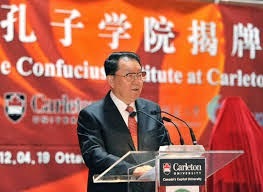 He spoke to trustees on behalf of the Confederation of Chinese Canadian Organizations in Toronto. Trustees have also come under pressure from officials in China, who have warned them that dissolving the partnership would damage the board's relationship with its most lucrative market for fee-paying international students. Another instance of Chinese cultural penetration into Canada's education may be symbolized by the career of Henry Yu, professor at the University of British Columbia, History department. This "Canadian" teaches a virulent brand of prejudice against an identifiable ethnic community: white Canadians. Dr. Yu tells us that British Columbia has a "history of white supremacy not unlike South Africa". Rather ironic, as the UBC student body is 34% Asian, 31% white, and 1% Aboriginal. There is little doubt Dr. Yu's teachings are contrary to UBC's existing policy on discrimination, yet the professor is permitted to advance his racially-oriented teachings. If the tables were turned, and a professor — any professor, regardless of ethnicity — was advocating racial prejudice toward our so-called minority communities, no doubt they would be disciplined, and likely removed from their teaching position. As it happens, Dr. Yu has received well over a million dollars in grant money while teaching at UBC. Such is the hypocritical nature of multiculturalism within Canada's education system. The UBC policy on discrimination is aimed only at European students who question Canada's colonization by Asians. Ever noticed how Canada's school system, both public and private, grade school and university-level, is perpetually short of cash? Apart from a few of our education ministers and school board trustees, no one seems to know why. Regardless of tax increases — in particular a giant boost in municipal property tax income, due to thousands of Vancouver home tear downs annually —, there never seems to be any money to provide to our schools. Therefore, we must source the cash from outside the country. Our kids depend on it. Our school boards and teachers depend on it. We need money, so it's off to China for Christy Clark, Teresa Wat and the B.C. Liberals. We need students, so it is off to Beijing for UBC President Arvind Gupta and SFU's Andrew Petter. President Gupta is quite open in viewing this trip to China as "part of UBC's strategic plan" to redirect the attention of the university away from Canada towards Asia in a way that is consistent with UBC's current student racial make up and the pro-Chinese and anti-Western curriculum, as can be testified by anyone who examines the cultural Marxist courses taught at this university. Take Henry Yu's research program; basically it boils down to the claim that we must re-conceptualize British Columbia as "Pacific" and that Europeans should never see themselves as the creators of this nation but as inhabitants of a "borrowed land" which must be handed over to Asians through mass immigration from China as compensation for a small head tax a century ago. Check Yu's blog: what matters to him above all else is the relentless promotion of Chinese ethnic interests and colonization of Canada by using the pro-diversity ideas nurture by white naive liberals. There is not a single publication in his CV that is not intended to put down the white builders of this nation, and exponentially exaggerate the minute contributions of the tiny percentage of Chinese who inhabited this country throughout most of its history. The fact that China today is a virulently racist culture has never raised Yu's ire one bit. He prefers to malign the Europeans who built the University of British Columbia while ignoring the current extermination campaigns of the Chinese against Tibetans and Uighurs. In 2014, UBC opened their Vantage College campus, a "new destination for international students". We are not sure who is permitted to attend, but we know who is not permitted to attend: Canadians! Vantage College is for international students ONLY — no Canadians allowed. One would hope they offer courses in the History of Surrealism, for there is nothing more surreal than the admissions policy of this anti-Canadian college. Canada's growing reliance on foreign money and students is fundamentally altering the nature of education in our country. Our universities have transitioned from educating Canadian-born students to a system to educate non-Canadians, new immigrants, foreign students, and if there are a few extra desks available, some Canadian students. Much of this has been facilitated through our government's long term relationship with China's Education Ministry, in the form of an existing six hundred and fifty educational contracts. While in China no western influence is allowed in their educational institutions, in Canada, just about every major university includes a well-funded, politically-oriented department of Chinese studies. To put it plainly, the opening of the borders to mass immigration after multiculturalism was officially announced in 1971 was the beginning of the end of our cultural independence, and the birth of dependence on foreign nations. Nowhere is this better exemplified than within our institutions of higher learning. What exactly are these students learning? At UBC, they are learning that white Canadians are an oppressive bunch who dislike all other races. 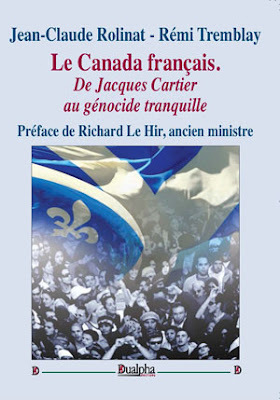 Over at McGill, students learn how to denigrate and condemn those who built our country. Sir John A. MacDonald is not the founder of a great liberal democracy, he is a drunk and a racist. Canada is a marked nation. It is marked for cultural demise, and multicultural policy is the vehicle to make it happen. Decades of mass immigration, loss of control of migrant source countries, political correctness, media propaganda, reverse-racism, government-lobbying interest groups, political pandering for the ethnic vote, and of course, the Canadian academic world. All play a role, and collectively they are reducing Canadians to little more than a powerless, silent majority. What was once an honest attempt to educate our youth is today a globalist industry in which Canada acts as a mere place for other ethnic groups to affirm their heritage while Europeans are prohibited from having the most basic sense of ethnic identity. Educational priority goes not to the children of Canadians, but to those with the most money, regardless of nationality. It is also a numbers game — the formula being: numbers + money + diversity against Europeans = success. Wake up European Canadians! Show pride in your ancestors, the originators of all the disciplines taught in universities, history, biology, anthropology, chemistry, philosophy, psychology, geology, sociology, and so much more. Don't hand over your universities to opportunistic free loaders from China! Not a single university teaches students to have any sense of pride and thankfulness for the Europeans settlers, not immigrants, who built Canada and UBC. 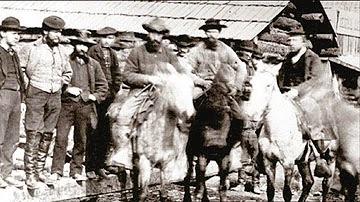 The pampered, effeminate and chubby academics, who would not survive a week doing what the European settlers did under immense hardship, know only one thing: to denigrate their ancestors in front of foreigners in a traitorous manner without not even the most minimal sense of human decency and honor. Yes Canada is just the world's suburbs. I honestly never felt very Canadian growing up in Vancouver. Feeling nationalistic is meaningless when the entire world is being invited in. Canadian culture to me was just a beer commercial about Hockey. I never saw much of it in my so called neighborhood. I had to live in Calgary for a few years before I got much of a face to face introduction to it. Ottawa and Toronto are just too far away. Funny how UBC talks about how friendly and accepting the people of that city are because last time I visited my parents in the area, I went to a party and no one could believe I went to public school there. What sort of culture can you really have when few people have been in the area longer than 10 years, never mind having lived there as far back as the 1980s? It really isn't much of a culture because the place is totally rootless, with zero sense of history. I have had family in the area for over a 100 years. I like to think that it became a nice city partly due to the work of my family. Unfortunately, it really has been handed off to others. What all of this will result in, I really don't know. At what point does this constitute treason? I always find the notion of "equality" funny when I see how many foreign students attend universities in North America and Europe, but not really the other way around. It's clear that world-class educational institutes are for the most part still in nations founded by white Europeans. Everyone from Africa, Asia to the Middle East wants to study at western schools, yet we pretend one civilisation is not better than another. As always, excellent observations and article! We should start a Chinese Privilege conference and discuss the extreme ethnocentric mentality that Hans Chinese possess.